Whether in content marketing or a Google AdWords campaign, the role of keywords cannot be underestimated. It’s one of those things some people are quick to ignore, but which could very well spell the end for business. To that end, you need to be working overtime to find the right keywords for your campaigns. Unfortunately, this isn’t always as easy as it sounds. Most of the top keywords are extremely competitive. On AdWords, those competitive keywords can be very expensive. As a shrewd business person, you may want to preserve your budget by avoiding these overly costly keywords at least until you have a winning formula. On the flip side, cheap keywords rarely return a profit. That’s why other marketers ignore them in the first place. Paying for them would be akin to throwing your money down the drains. Keyword search tools are software programs specially designed to help marketers find the right keywords for their campaigns. You’re required to enter the parameters of your search, including your target audience, geographic location, and type of business, and then the tool looks up and returns the most relevant keywords for your business. It doesn’t end there; some keyword search tools are now built in such a way that you can consistently monitor high performing keywords in your industry. This would allow you to keep your ads and content relevant throughout. Some of the best keyword search tools out there include; Soolve, KWFinder, and WordTracker Scout. There are several approaches you can use here. But one of the easiest and most effective methods is manual checking. The first step is to identify the products or services of focus. For instance, you can choose to check one of the products in their video blogs. After picking the product, go to Google and search that product or service (we recommend that you use Chrome for your search). On the first page of results, click the first item on the list. Once you’re on the desired page, click Cmd + Alt + u to view the page source. Here you’ll find the code for that page. Now, check the whole page for non-branded keywords, focusing on titles and headlines. You’ll learn all the keywords they use to rank so well on search engines. Finally, you can also use Google to find the right keywords for your digital campaign. Since you probably already know about auto-complete and related searches, we’d advise that you shift attention to three other useful sources for unique, often unknown keywords; Google product taxonomy, Google sets, and Google Trends. Google Taxonomy is used as part of the mechanisms for Google Shopping for categorization of products. Google Sets can be found via the “Google Sets” category found in Google Spreadsheets. Lastly, Google Trends is a special website created by Google to help users learn what people are searching at different places in the world. While not a complete list, these three sources should help you find unique, yet inexpensive keywords for your marketing campaign. E-commerce is rapidly becoming one of the fundamental components of a monetized internet, and it is important to understand that it is an area that is constantly in a state of flux. Your traction in the e-commerce world depends a lot on the kinds of technology you are equipped with. Choosing the right e-commerce platform is thus imperative to your success. The biggest challenge for new starters lies in the reality that there is not one ‘correct’ platform. Every business is unique and therefore has unique requirements. Nonetheless, here you can find some of the leading platforms for e-commerce in 2018. Big Cartel is currently one of the most popular e-commerce platforms. Although Big Cartel is an established brand within the e-commerce platform market with an efficient 24-hour support team, this is a very basic option – branded as being suitable for “artists and makers.” The platform limits a business to 300 products and only five images per product. This platform is only perfect for a very basic e-commerce store. Choosing the right platform for your company is crucial because out of 12 million active sites, only 650,000 e-commerce sites make more than $1000 a year. Magneto, the e-commerce platform owned by Adobe, is an open-source e-commerce website, which means that the source code of the product can be modified and customized. This is actively encouraged by the company – which is naturally an enviable option for eager web developers. Magento’s scalability and reliability have made it one of the most popular e-commerce platforms available and boast high-end clients such as Coca-Cola and Paul Smith. This platform, however, is not for the faint-hearted and it is not suitable if the e-commerce company cannot comprehend complex code. This Canadian-based e-commerce solution was established in 2004 and has been recognized as one of the most innovative e-commerce platforms due to the emphasis the company places on keeping up with relevant trends and technologies. Mobile payment is the biggest e-commerce trend in 2018, and it promises to rapidly transform the current digital marketplace. Shopify has its own coding language which can cause problems for some entrepreneurs, however, there are professionals such as those at www.blackbeltcommerce.com who can assist in navigating this platform and their unique ‘liquid’ code, as well as offer theme customization and digital marketing services. This platform was designed with startups and small businesses in mind. YoKart specializes as a solution to multi-vendor stores including Amazon and eBay and the smaller host of stores on the internet today. The newest version of this platform is also multilingual and multi-currency, which is extremely important in the current global climate that exists both ‘on’ and offline. Choosing the best e-commerce platform may seem confusing at first. There is only a few dollars discrepancy between the average monthly cost of the different services, which means it’s hard to pick between them. It is worth researching each platform thoroughly to avoid wasting time and money on a service which cannot satisfy your company’s needs. In eCommerce, the amount of traffic that comes to your site is going to determine your overall success. After all, if you don’t have anyone coming to your site, you can’t possibly generate any sales. Unfortunately, launching an eCommerce shop is easier than ever these days — and people know it. As a result, the competition is only getting tougher, and standing out enough to convince people you’re the brand they should trust is proving to be just as difficult. In fact, 61% of marketers claim that generating traffic and leads is their top challenge, and only 22% of businesses cite satisfaction with their conversion rates. So, there seems to be a lot of work to do. But driving traffic to your online store doesn’t have to seem impossible. In this post, we’ll share with you some of the best ways to generate more traffic (and high-quality leads) to your eCommerce shop. The only way you can successfully drive more traffic to your eCommerce shop is first to determine just how much traffic you’re currently getting. 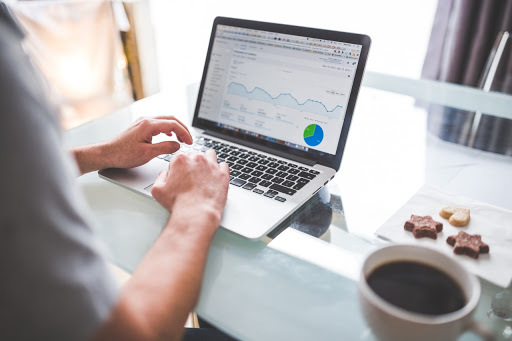 One of the best ways to do this is to sign up for a free Google Analytics account and connect it to your online store so all sorts of helpful data, including site traffic, can be tracked and monitored. If you go to Audience > Overview, you can get a great idea about how much traffic your site sees on a regular basis. 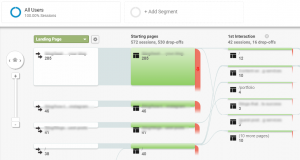 If you really want to gain a deeper understanding of your customers’ purchasing journey, learn how monitoring cross-channel reports in Google Analytics can reveal how people behave as they switch between eCommerce channels. 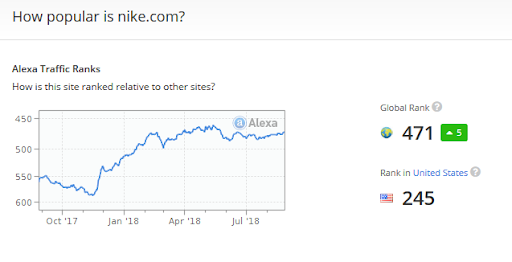 You can also check out tools such as SimilarWeb and Alexa to learn about not only how much traffic your eCommerce shop sees, but how popular your site is, where site visitors are coming from, and what search engines people use to find you. Now that you have a good idea where your site stands in relation to others, and how much traffic you’re currently getting on a daily, weekly, or even monthly basis, it’s time to look at ways to ramp up your efforts to get more. 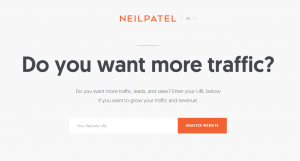 One of the fastest ways to drive more traffic to your website is to pay for it. And it just so happens that Google Ads (previously known as Google AdWords) is an easy way to do just that. Create ad campaigns that display in Google search results whenever someone searches for a term related to your ad. When someone sees your ad and realizes you offer what they’re looking for, they’ll click on your site and check you out. Not only will you get paid for every click your ads receive (yay for site monetization), you’ll reap the benefit of the added traffic. And, since the person clicking your ad saw something they liked, the chances of them making a purchase once on your site are much higher than someone who just happened to come across your website. Understanding the role SEO plays in driving traffic to your site is crucial to your success. Showing up in the wrong results. You might rank well in Google search results, but if it’s in results that have nothing to do with your online store, no one will click to visit. And even if they do, they’ll abandon your site immediately when they realize you don’t have what they need. Not ranking well. You might show up in relevant search results, but if you haven’t done your keyword research, chances are high you’ll end on page 2, or 3, or worse. Since 95% of all web traffic goes to those on Google’s first page, you’ll have no one clicking on your site to visit. And lastly, optimize your eCommerce shop for speed and performance. 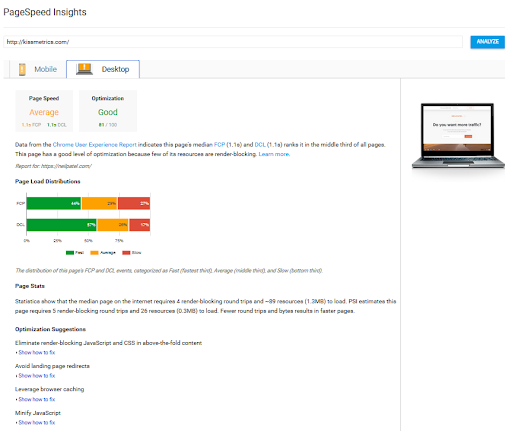 Monitoring your site’s desktop and mobile speed is easily done using Google PageSpeed Insights. See how fast your pages are loading and receive recommendations from Google for optimizing further. After all, even a 1-second delay has the potential to derail your site’s conversion rates by as much as 7%. It’s likely you know who your biggest competition is. And, while it’s natural to want to beat them when it comes to traffic, conversions, and sales, sometimes it’s a good idea to network with your competition too. One great way to expose your brand to a broader audience, and drive more traffic to your site, is to scope out industry leaders in your field and ask if you can submit a guest post on their website. Although guest posting is a time-consuming thing, the benefits you receive are tremendous – including the fact that it helps you drive a whole new group of people to your store to buy. 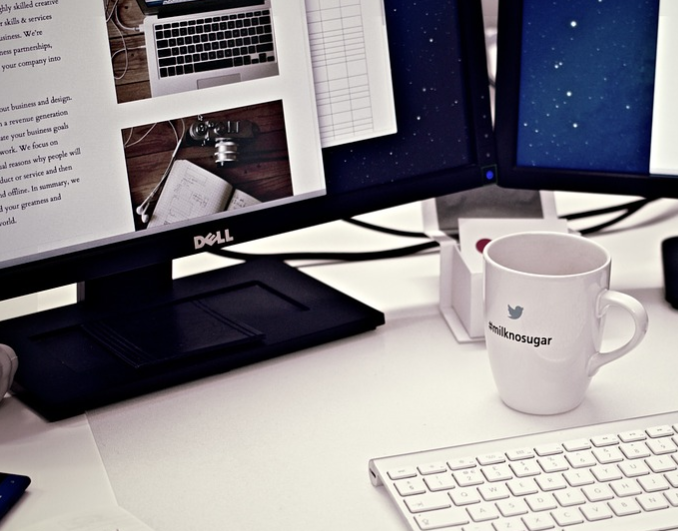 We all know that social media plays a vital role in most marketers’ lives. 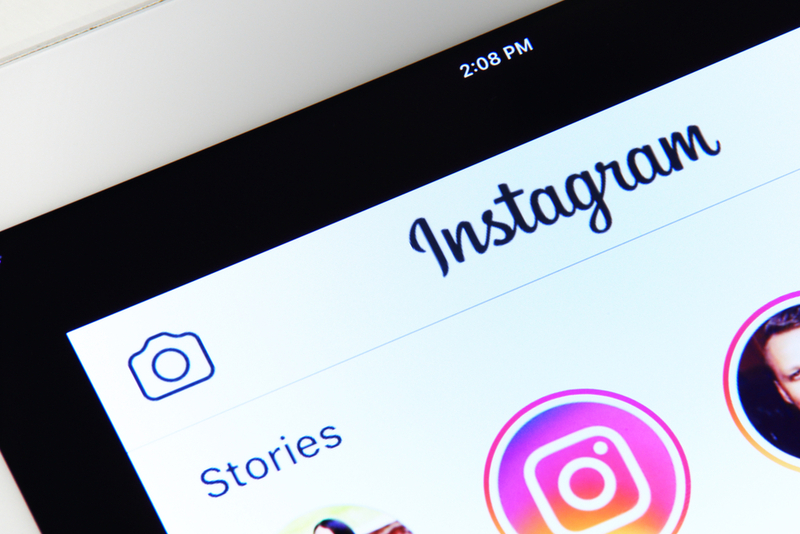 If your target audience is found on other channels such as Twitter, Instagram, or YouTube, you can expect the numbers to be similar, even if on a smaller scale. 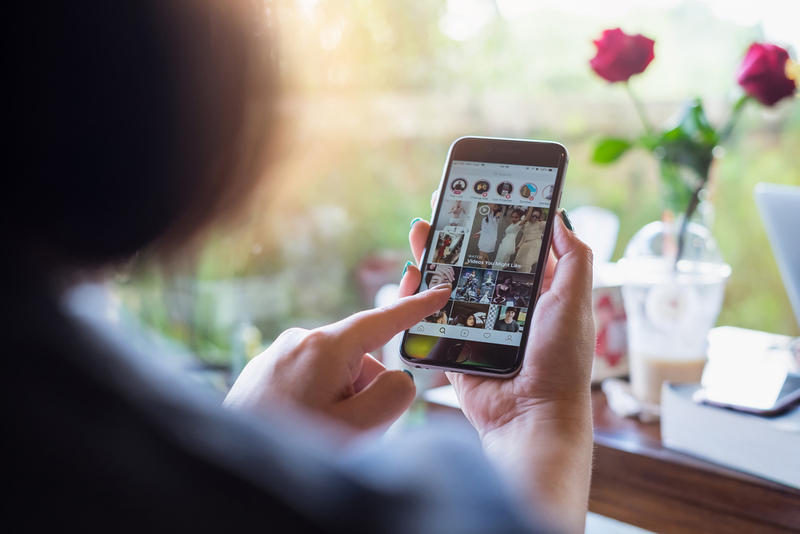 Using social media and video content helps build brand awareness and drive traffic to your online store in ways many other marketing efforts can’t. Whether you’re a startup looking to build brand recognition, or an established online retailer looking to grow your business, you’re always going to face challenges when it comes to driving traffic to your eCommerce site. Luckily, there are many ways you can help increase traffic, conversions, and sales on your site. All it takes is using some of the above-mentioned tips and tricks. Trust us, with enough focus you’ll see your numbers continue to rise, along with the quality of your leads. How Online Fantasy Sports Companies Market Their Platforms? Online fantasy sports are experiencing huge growth and are even rivaling online betting platforms. For those who don’t know, online fantasy sports platforms allow users to create fantasy sports teams and join competitions to potentially win cash prizes. 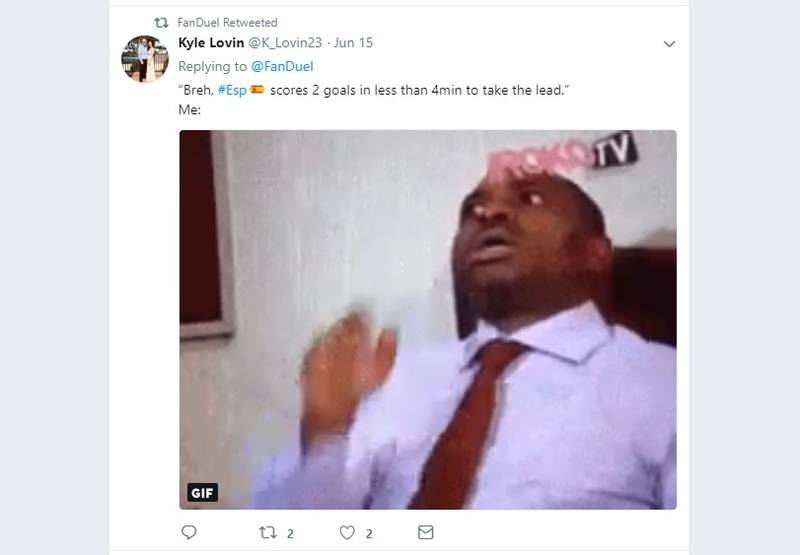 For example, users can create their own NBA basketball lineup packed full of stars such as LeBron James, Stephen Curry and Kyrie Irving, and then enter a league against other players to see how their teams match up. As the real life result roll in, scores are calculated based on your team selection, and your league standing is based on this score. Due to the huge boost in popularity of online fantasy sports, their marketing techniques have had to improve and diversify. 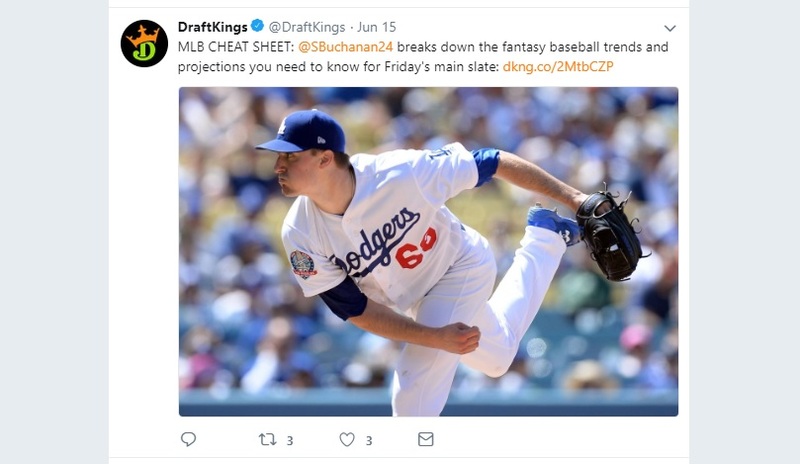 Popular platforms such as DraftKings, FanDuel, and PlayOn have to compete with each other and try to bring in customers through clever marketing. DraftKings is currently on top, with bettingsites.me.uk reporting that 50.6% of all players currently use the app. Social media are playing a huge role in fantasy sports marketing. 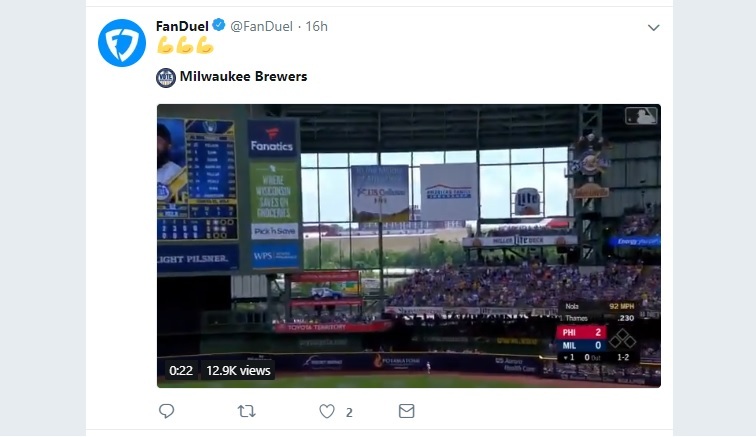 Both FanDuel and DraftKings have a huge following on Twitter, for example (FanDuel – 212k followers, DraftKings – 244k followers), and use this network to post game highlights and interact with customers. 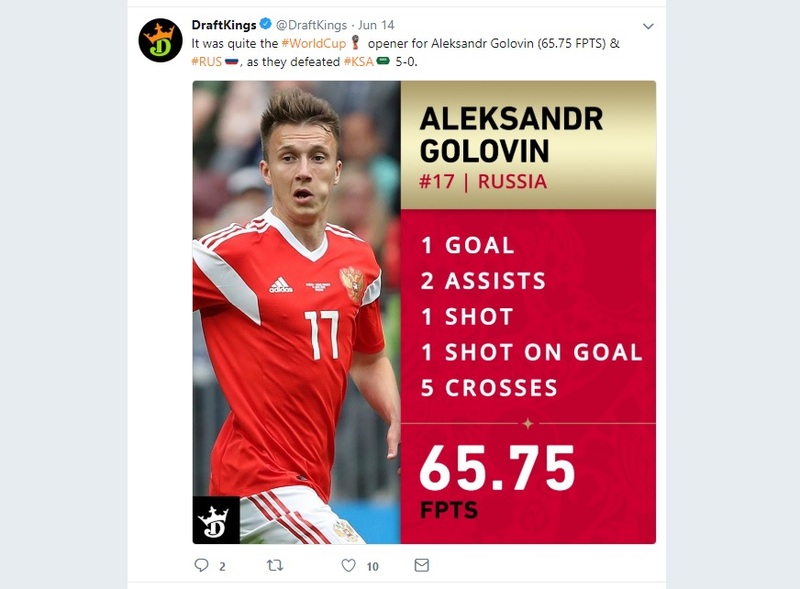 If you scroll through DraftKings’ Twitter feed, you can see it posting videos of MLB games and clips, uploading player profiles of top sporting personalities such as Cristiano Ronaldo, and even cheat sheets to help its user base improve their fantasy teams. 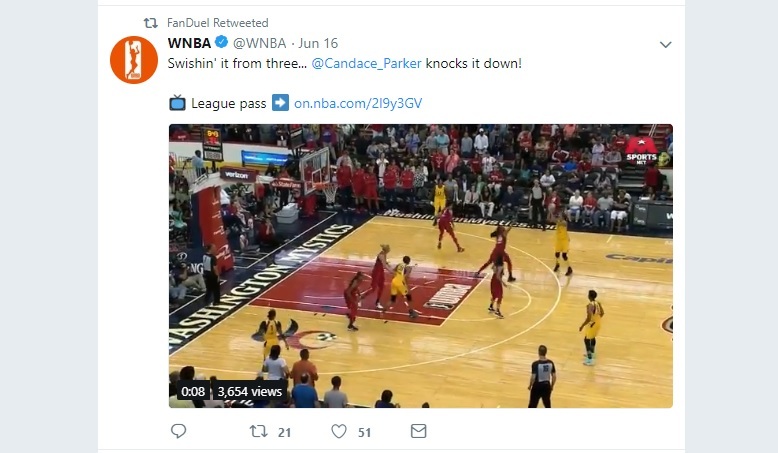 FanDuel alternatively regularly post WNBA highlights, show awesome MLB home runs, and also funny sports bloopers and memes. 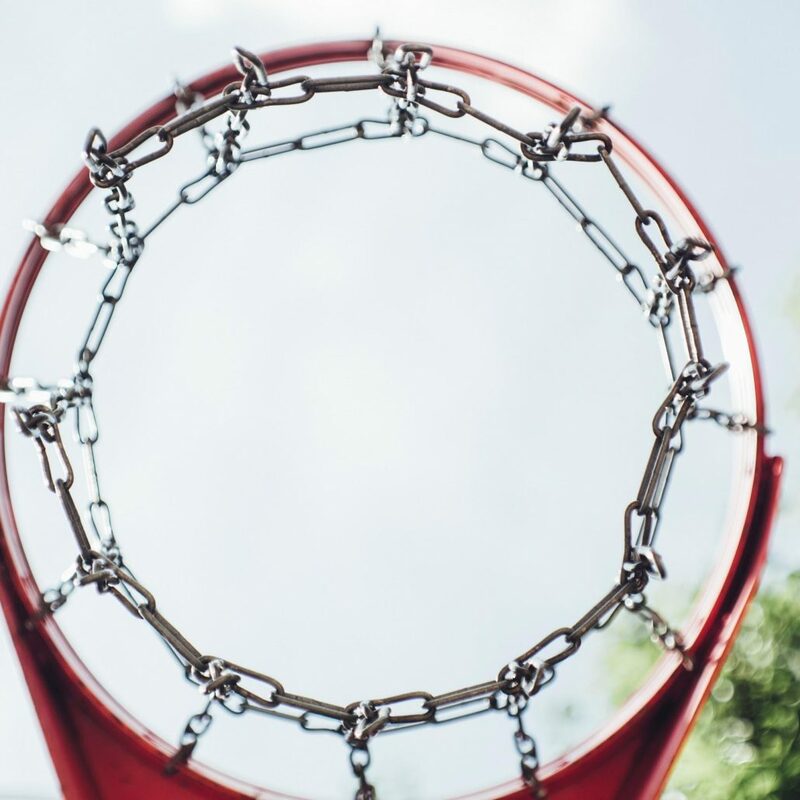 All of this gives content to its users and helps get them excited about the world of sport, as well as encourage interaction with their respective fantasy sports platforms. Affiliate marketing is also hugely important for online fantasy sports platforms. Both DraftKings and FanDuel operate an affiliate program through which customers can gain commissions. In essence, a customer promotes the fantasy sports platform by using a special hyperlink. If someone clicks on this hyperlink and registers an account, the customer gains a small fee. This is a clever form of marketing. 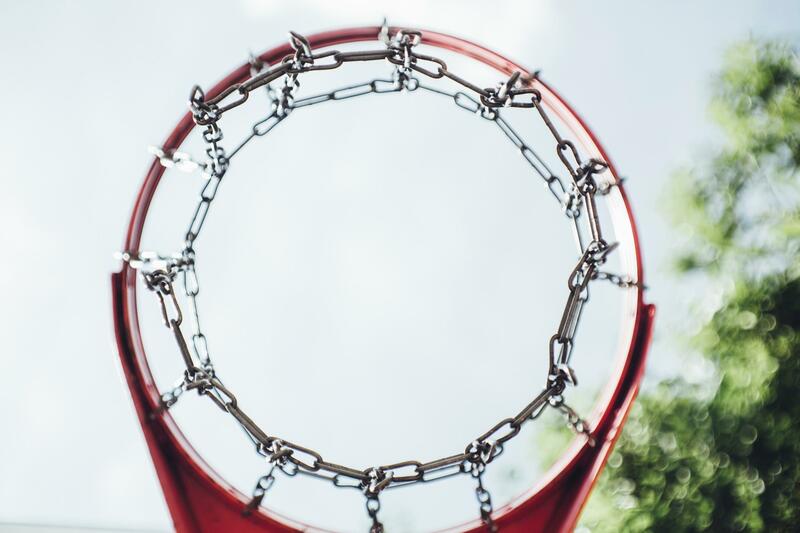 The fantasy sports platform doesn’t really have to do anything and it benefits from increased exposure and more customers; all it has to give in return is a small percentage fee. These are just two examples of fantasy sports marketing and there are many more. 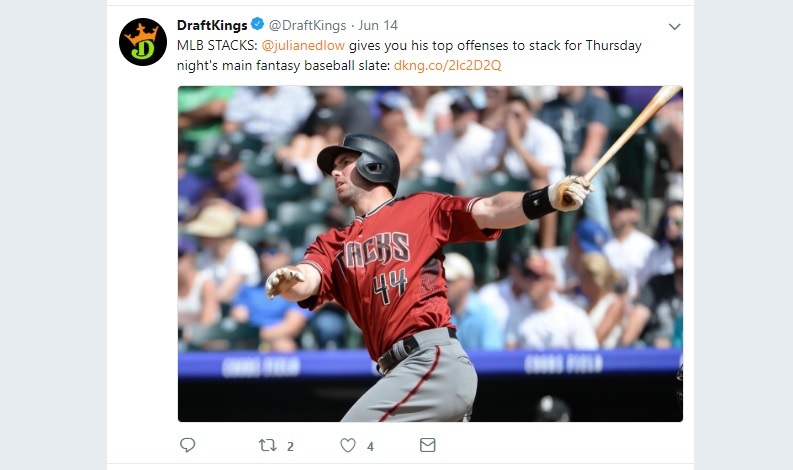 It is clear that marketing plays an important role in the promotion of fantasy sports and that it allows platforms such as DraftKings and FanDuel to gain a competitive edge in this ever increasing market. https://creativeagencysecrets.com/wp-content/uploads/2014/04/CAS_Logo_1line_RGB.jpg 0 0 Sudip Mutt https://creativeagencysecrets.com/wp-content/uploads/2014/04/CAS_Logo_1line_RGB.jpg Sudip Mutt2018-07-03 19:35:462018-12-18 08:42:18How Online Fantasy Sports Companies Market Their Platforms? Nowadays, countless guides on the internet try to persuade you how easy it is to build a successful website from scratch. While it’s true that anyone can get a decent-looking site live with the right tools, it’s still not easy for the online community to separate good web designers. Remember, an experienced web developer knows to have a user-oriented approach when designing websites. It’s not just about fancy visual effects, animations, and so on — it’s about creating an experience that compels users to take a specific action. When it comes to developing websites, first you must choose a platform that can help you attain your goals. 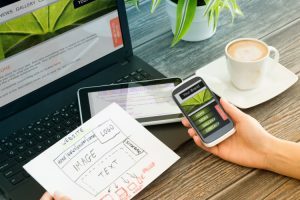 Content management systems, e-commerce platforms, DIY site builders — each type of software has something unique to offer. And when commissioning a web developer, you can’t take this decision for granted. It’s important you know and understand the differences and positives & negatives of each option. A flexible platform designed to help you edit, manage, and publish online content. CMS also give developers complete control over the website’s appearance — typically providing pre-made themes to work with. 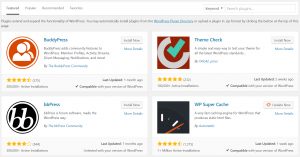 WordPress is, by a clear mile, the most popular CMS ever. On top of the easy-to-use interface and countless themes to choose from, it also includes a massive plugin library for expandability and functionality – from newsletter subscription forms s to SEO. If your main goal is to sell product, you need to check out e-commerce platforms that consolidate everything you’ll need in one place. For example, Shopify is becoming the go-to e-commerce platform that has all-in-one service including web hosting, online store themes, and integrations with services — from payment gateways to social sharing buttons. It also supports drop shipping apps like Oberlo and BigBuy, which enables shops to launch with a low overhead – but they do charge monthly fees. It’s sometimes difficult to understand the difference between a content management system and a DIY site builder. The fact that both also support e-commerce functionalities don’t help, either. What you need to remember is that site builders like Squarespace and Wix have limited customisability and capabilities, especially if you want modifications in your website’s source code. They do, however, make up for it with the wide selection of themes that hit the spot between pleasant appearance and user-friendliness. Going back to being user-oriented, your website’s loading speed is one of the user experience factors that can single-handedly kill your search, traffic and conversions. According to Google, 53% of users abandon a mobile website if it takes longer than 3 seconds to load. This number is reduced to only 40% for desktop sites, but you’ll still be missing out on a huge visitor stream. This begs the question, how can you make your website load as fast as possible? The answer, of course, varies. What you can do is to run an analysis through Google PageSpeed Insights to identify the exact issues that affect your website’s loading speed. PageSpeed Insights work by providing optimisation suggestions that are specifically tailored to your website’s needs. It is a highly effective tool if you want to optimise your website’s loading times and maximise conversions by retaining more traffic. If you have a lot of visual content on your site, use a lossless compression tool like Compressor.io or Smush to reduce their size without compromising quality. A surefire way to see significant performance gains on your website is to use a Content Delivery Network or CDN. Basically, it’s a network of servers that are strategically distributed across multiple locations to keep loading times consistent for all users — regardless of where they are in the world. A handy tool like MinifyCode.com can further increase your website’s performance by removing excess characters, such as white spaces, line breaks, and comments, from codes. This can result in noticeable improvements, especially if you offer a lot of dynamic content and interactive elements on your website. Remember, web pages are instruments that help users achieve a specific goal. 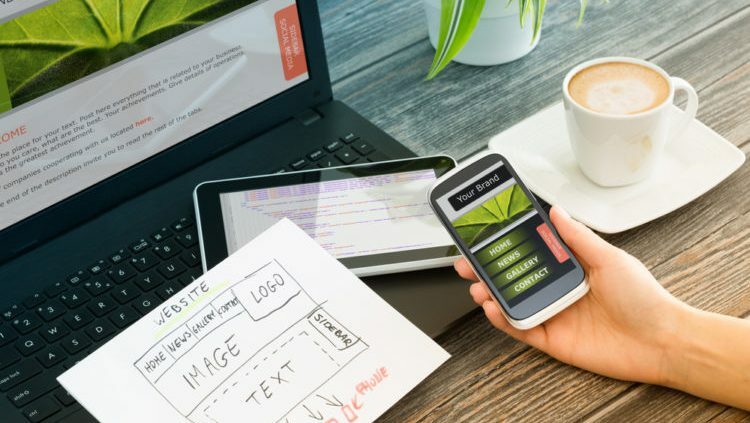 By being aligned with what the audience wants to do, web developers can accurately determine which page elements should be included or removed. Do you need a prominent call to action? Are you sure banner ads aren’t pulling traffic away from your site? Accomplished marketers like Neil Patel understand this fully, which is why you can observe the KISS principle at play in their websites. It’s not rocket science: the fewer distractions presented to your audience, the faster they’ll buy into your value propositions. Apart from branding elements and navigation menus, try to avoid adding anything that contributes little to the user’s journey towards your desired action or goal. That’s why landing pages often have menus removed. potential of any given site instantly — let alone do it on their first try. Your best bet is to launch your website, boot up some performance monitoring software, and let the numbers show you the way forward for refinements. 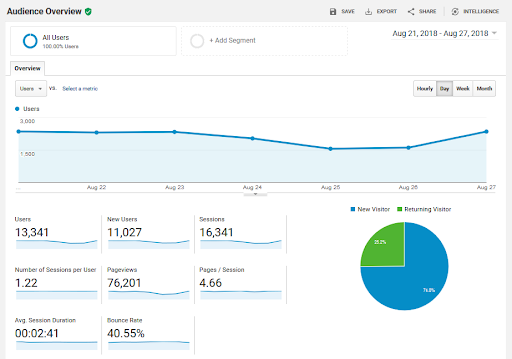 The usual route is to integrate Google Analytics to start monitoring key performance metrics, such as web traffic, bounce rate, session duration, and e-commerce transactions. It can also help you identify your best content as well as pinpoint the “drop-off” points where you lose most of your audience. If you want, you can also slice through the number-crunching and visually monitor how most users interact with your site. You can do this with the help of a heat mapping tool, like Crazy Egg, Sumo or Hotjar. Conversion rate optimisation is a learning experience that requires your direct involvement and regular updates. The tips above should be more than enough to put you on a more profitable pathway. Care to share a couple more tips on how to develop conversion-ready websites? Feel free to leave a comment below! Trends are indicative of what is popular and selling well. If you want to transform your business, regardless of size or industry, you need to be aware of these trends and then implement them as effectively as you can. Creative marketing encompasses both the creative and the marketing world, and often to great effect. Exciting and attractive marketing is powerful and effective, and strong visuals play a significant role in how well a product is recognized and consumed. Creative marketing is the genius behind getting a product noticed and sold, so using it well only stands to benefit you. Clever and sophisticated creative marketing could give way to the exponential business enhancement and increased revenue you’ve been dreaming of. 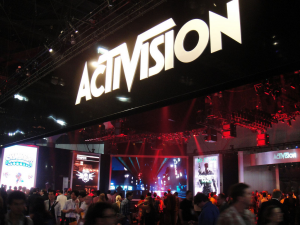 Below we explore the various marketing avenues available in today’s modern world. Virtual reality has made it into the mainstream after being something only seen in science fiction films. Now, it is becoming increasingly popular and accessible. This style of advertising is appealing across the board and not only because it intrigues the most inquisitive of individuals seeking a view into something otherworldly. The digital age is well and truly upon us, and using digital advances to create powerful visuals is, of course, going to help you transform your business. Virtual reality is truly taking off, and harnessing its power correctly could transform your business into an up-and-coming company recognized for using trendy technological advances. 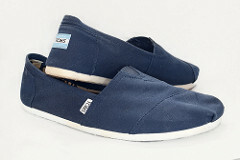 Example: TOMS is one brand who used virtual reality extremely well within their campaign. They took users to a remote village in Peru, and each user experienced immersive storytelling, which was both incredibly emotional and moving. This VR advertising experience managed to convey to the audience the impact TOMS charitable donation policy has for children around the world. The founder of TOMS, Blake Mycoskie, has, in fact, said that virtual reality would be, going forward, a key part of their communications strategy. If you want your business to grow and get noticed, then you need to begin implementing new designs. If you’re able to use trends such as VR advertising to the best of its capabilities, then expect growth and increased success and conversion. Before you get here, however, you will need to ensure your business is prepared for this expansion. Think about getting technology in place to account for this boost. Consider employing the assistance of a good HR management, a strong customer relationship management (CRM) suite, and creating an effective email service you can rely on. Example: Activision, the leading publisher in the video game market in America, uses the clever CRM marketing platform Marketing Cloud to monitor social media conversations which are relevant to their own products. By doing so, the brand can interact and engage with consumers at a fraction of the expense. It is estimated that using social media as your customer service method saves on average 25% from the expenses you’d use for customer service operators. For a business beginning to their mark, this is valuable resources available to put into other marketing strategies. Visual marketing involves strategy, and the ability to make informed decisions about what an audience wants to see and feel. Visual content needs to be polished, slick and sleek. Visual merchandising is a powerful tool to harness to communicate your brand or business, using attractive signals to draw in potential customers. Visual merchandising displays its content simply and boldly and maintains the attention of the viewer. It’s a method of trying to get people to buy through means of seeing how a product can make their life easier and more enjoyable. Persuasion is by no means an easy feat, however creative marketing’s job is to persuade an audience that the product they see advertised is beneficial to them and will serve them in some advantageous way. 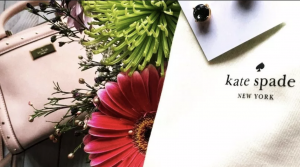 Example: Kate Spade’s beautiful blooming flowers theme for their Valentine’s Day merchandising theme made a statement within their store for all the right reasons. Flowers have a calming, relaxing effect, which undoubtedly retailers want to emulate in their stores to promote happy shopping. In addition to the sense of calm, the fresh, inviting scent will welcome customers to the store and add a touch of luxury to make every single visitor feel special and want to spend time inside the shop. Happily, this can work to retain loyal customers. Marketers and brand managers alike will be well aware of the use of personalization within marketing campaigns. Perhaps the emails to your customers already feature their names in the subject line. However, this trend ensures that every single customer feels valued and listened to, each time they receive notification from your company. Personalization is now referring to the experience each customer (and potential customer) has when they land on your website. If done right, it’s the ideal tool for building upsell opportunities and boosting revenue with the handy use of data compiled through analytics. Example: One of the most famous examples of personalisation being used within a marketing campaign is undoubtedly Coca-Cola’s 2012 ‘Share A Coke’ campaign. Launched in Australia, this clever strategy involved the ever-popular drinks featuring consumer names on the logo, ranging from Rebecca and Ben to Elvis and Mandeep. 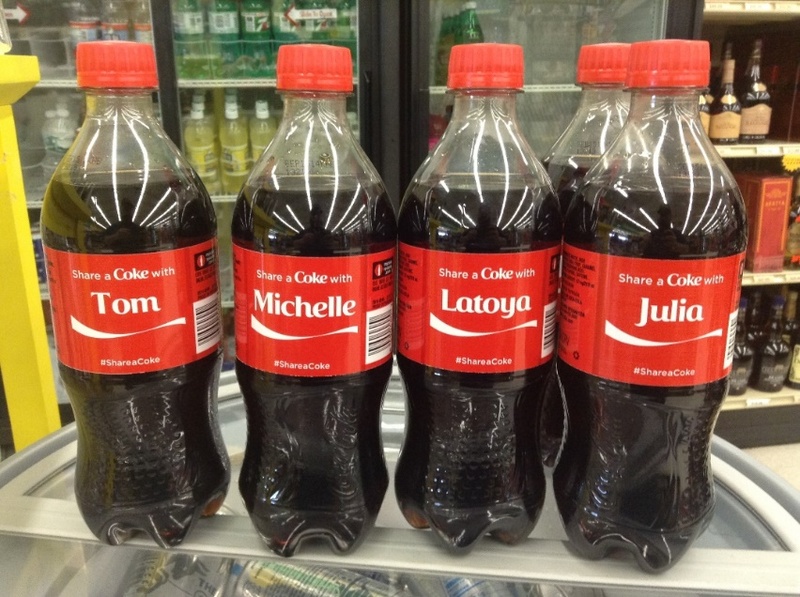 It sparked a social media frenzy where customers eagerly tried to find their names on bottles and the campaign itself encouraged people to share the drink with their friends. 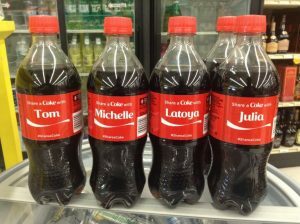 Coca-Cola’s campaign taught marketers that personalised campaigns work extremely well when they are engaging and fun. For any brand to attract as many viewers as possible, content should be accessible across different platforms from different devices. Many people use their mobile or small tablet device to roam the web, so content needs to be mobile friendly otherwise many users are simply not being reached. Vital revenue is being missed if a site cannot be successfully accessed. It’s glaringly obvious when a site isn’t compatible with mobile phones, as it’s cumbersome to use and half of the content is scrawled awkwardly across the screen. This is merely an inconvenience, and at worst, the content is downright impossible to decipher. 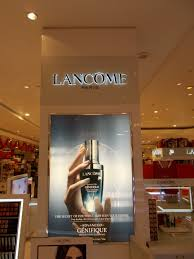 Example: Luxury cosmetics company, Lancôme, is one such example of a brand using mobile ads to their advantage. When they launched their new product, Advanced Genifque, they also launched a mobile ad campaign which targeted their key consumers – women. 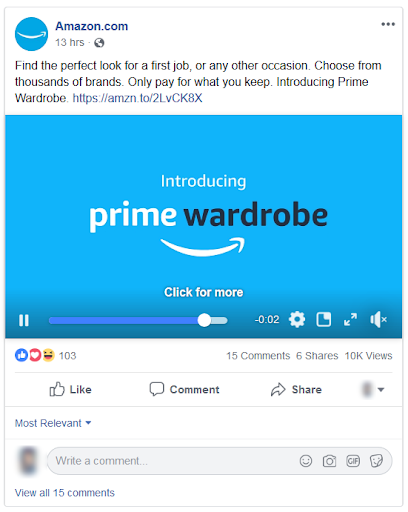 Users who clicked on the ad would then be directed to an animated, interactive video which showed them what the product was about and how they use it. A case study determined the success of this campaign was due to the time slots when the apps displayed the ad, the mobile devices used to access the ads and the apps chosen to host it. As the world evolves and adapts to ever-changing technology, so must the marketing world. The increase in mobile technology means consumers are expecting more from their favorite brands, and they want to be simply wowed by everything a company brings to the table. Therefore, to truly make your mark and get noticed in 2018, take note of the above suggestions and how globally renown brands get themselves noticed, for all the right reasons. If you are planning to go into business for yourself, you need to be on the web. Just as the company you worked for until recently has their site on the web, you need to establish your own. By doing so, you will put yourself in a position to reach a potential audience that numbers in the hundreds of millions. The sooner you do so, the sooner you can begin to tap into this enormous wellspring of potential profit. Why Do You Need to Buy a Domain Name for Your Business? The reason you need to buy a domain name for your business is to give yourself a home on the web. This is the name that visitors will punch into their search bar in order to find your site. It’s the name you will do business under. Should You Buy More Than One Domain Name for Your Business? Now that you know why you need to buy a domain name for your business, a new question arises. Is there a reason why you may need to consider buying more than one? This is an interesting question that raises a number of points. For example, are you going to be operating in a crowded arena where many businesses are competing in a cutthroat manner? If this is the case, there’s a reason you may need more than one domain name. A rival business may attempt to crowd you off the web by buying a number of domain names that are similar to your own business. They may try to make use of these names by causing them to redirect to their own websites. Another way they may try to hurt you is by buying up several “independent” sites that are set up for the sole purpose of mocking and maligning your business. The way to short circuit these attempts is to outwit your competitors in both areas. You can buy up a number of names that are similar to the name of your own domain such as common mis-spellings, different domain extensions and have them redirect to your main website. The high quality, preferred solution to “outwitting competitors” is to put top quality content and advice on your blog, use content marketing and provide excellent customer service supported by testimonials and social proof, just like we do on this website! Where Can You Go to Buy a Domain Name for Your New Business? There are a number of reputable and professional domain hosting service providers that you can turn to when it comes time to buy domain names for your new business. The more you are able to buy, the better able you will be to shore up support for your new business while heading off any attempts by your competitors to harm you. https://creativeagencysecrets.com/wp-content/uploads/2018/05/cas-map.png 760 1686 Rebecca Caroe https://creativeagencysecrets.com/wp-content/uploads/2014/04/CAS_Logo_1line_RGB.jpg Rebecca Caroe2018-05-02 10:00:002018-05-09 14:37:50Is it a Smart Idea to Buy More Than One Domain Name?